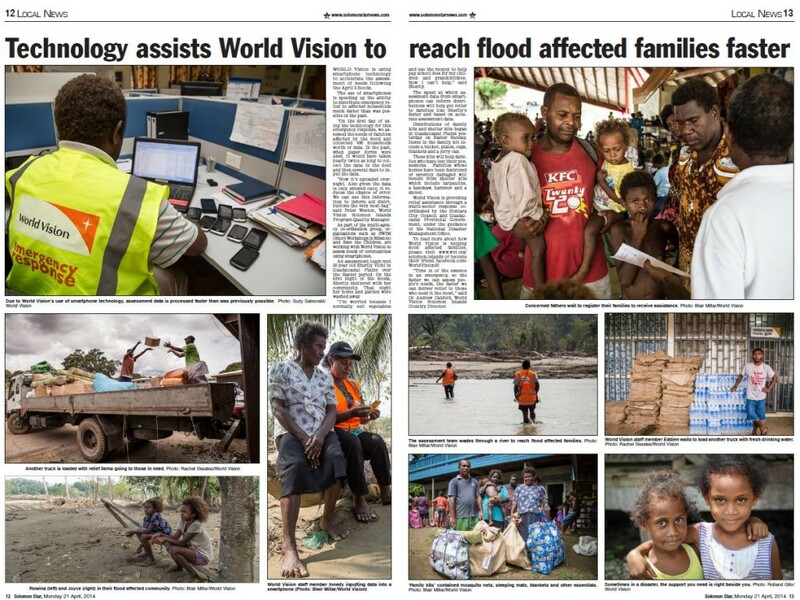 The Solomon Star News had an article (21st April 2014) on the use of technology to assist in the response to the recent floods. The technology is, of course, Smap which is being used by World Vision who are also making it available to Save the Children and SWIM (Short Workshops in Mission). This entry was posted in Ponderings on May 12, 2014 by Neil Penman.